Snow showers today merged into longer periods of snow through the morning. 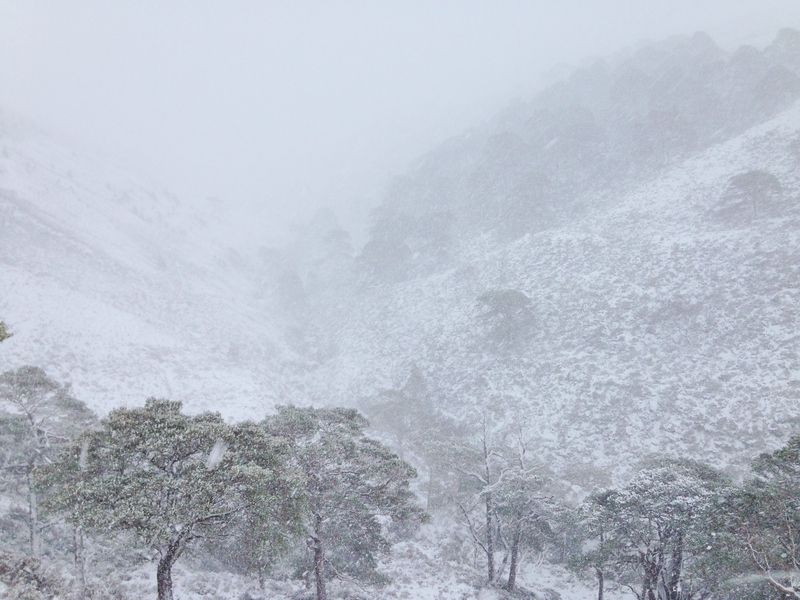 Combined with strong winds, there was significant snow deposition and re-distribution onto lee aspects in the form of windslab. 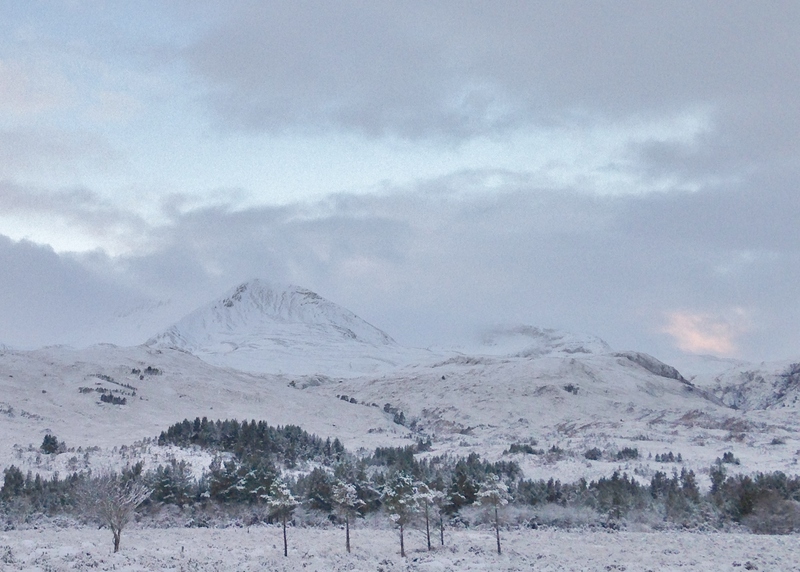 Despite this, it was ‘busy’ on Creag Dhubh, Beinn Eighe with 4 other folk out. It will remain cold over the weekend with further snow showers through tomorrow. A brief glimpse of Creag Dhubh this morning before a particularly prolonged and intense shower arrived. 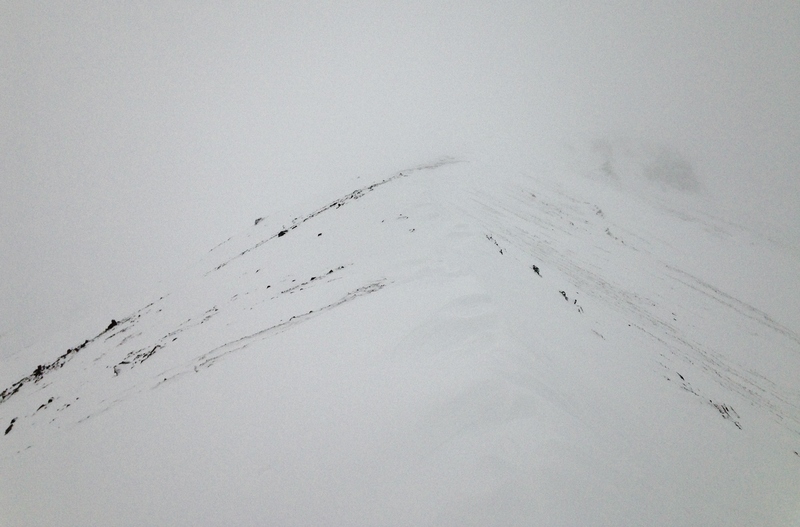 Obvious wind scoured slopes, NE aspects below the summit. 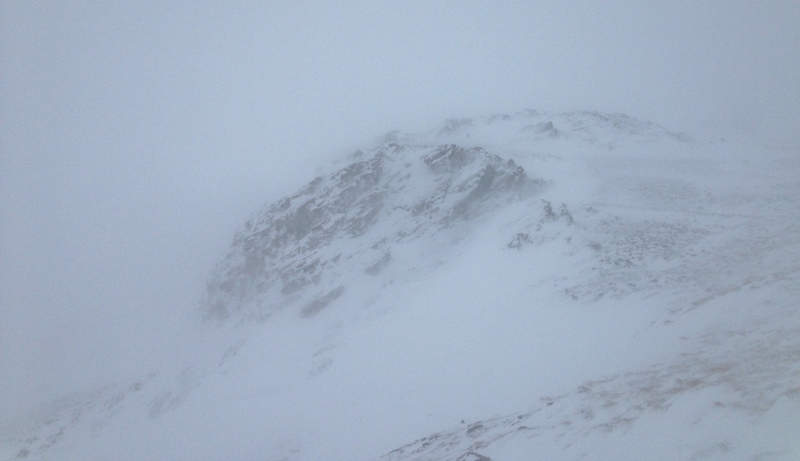 Significant spindrift during snow showers and strong gusty winds. 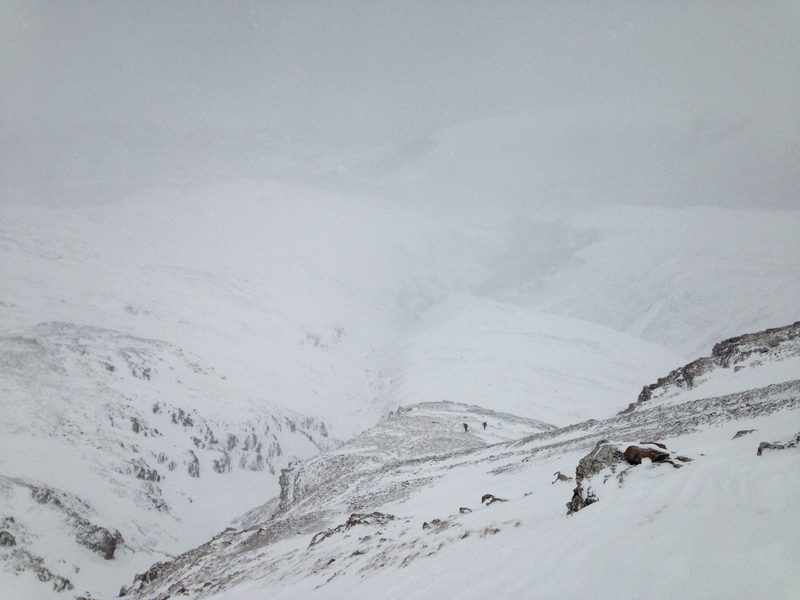 Spot the walker… Deep drifts forming in wind sheltered areas. My highpoint at 700m on the east ridge of Creag Dhubh. The wind is scouring on the right side and depositing on the left. Not looking very appealing! Looking down towards Kinlochewe. Spot two more hardy loons on their way up. And one other lower down.